The Dōgen Institute is the educational outreach arm of the Sanshin Zen Community. The Institute provides educational opportunities for all who are interested in the study of Dōgen Zenji and his teachings. The primary mission of the Dōgen Institute is to make available Shohaku Okumura Roshi’s life work on Dōgen. Okumura’s translations, commentaries, and lectures will be offered through books, audio, video, and web-based materials. 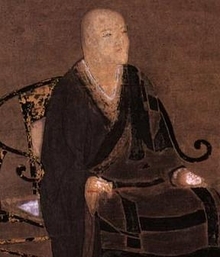 Dōgen Zenji is revered in Japan as the founder of Sōtō Zen. Produce and make available educational materials about Dōgen’s teachings to practitioners in the form of books, audio, video, and online resources. Make teaching materials generated for Sanshin-ji practice events available to a wider audience of practitioners, scholars, and individuals interested in learning about Dōgen and Zen. Offer compensated opportunities for select practitioner/scholars-in-residence at Sanshin-ji. Issue educational materials developed during residencies.